Malbec is one of the fastest growing varietals in the wine world. So DrinkThisTV.com went to BevMo! and bought a bunch of inexpensive Malbecs. We tasted them blind to find out which was the best for you to go out and buy right now. FYI -this tasting caused a furious argument between our hosts. Check it out! 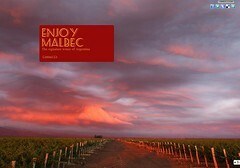 DrinkThisTV.com Malbec Tasting from Bob Asher on Vimeo.